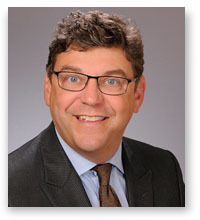 Another of the firm’s former Midwest residents, Mitch Mulbarger is a partner with Baker, Keener & Nahra and comes to the firm from Cincinnati, Ohio. Having moved to Southern California in 1990 to attend law school, Mitch opted to forego Ohio winters and stay in Southern California after graduation. His practice focuses on the areas of professional liability defense and commercial and business litigation and he has spoken at numerous legal conventions over the years regarding issues in the field of legal malpractice and the law of lawyering. Outside of the office, Mitch enjoys spending time with his family, reading, working to maintain his 18 golf handicap and cheering on the Los Angeles Dodgers.